Want to know the secret to Kate Hudson’s gorgeous, glowing, radiant skin? Well, you’re in luck, because Savoir Flair is here to dish the dirt on the skincare product behind her flawless face and perfect complexion. Posting a series of videos on her Snapchat account earlier this week, Hudson shared her secret with her followers, snapping the brand new Kiehl’s ‘Turmeric & Cranberry Seed Energizing Radiance Masque’. She hailed this mighty mask as her new skincare hero, awarding it an ‘A-’ (it just missed out on a top score for being messy, she explained) and describing it as “awesome” as she slathered it all over her face, neck, and décolletage. 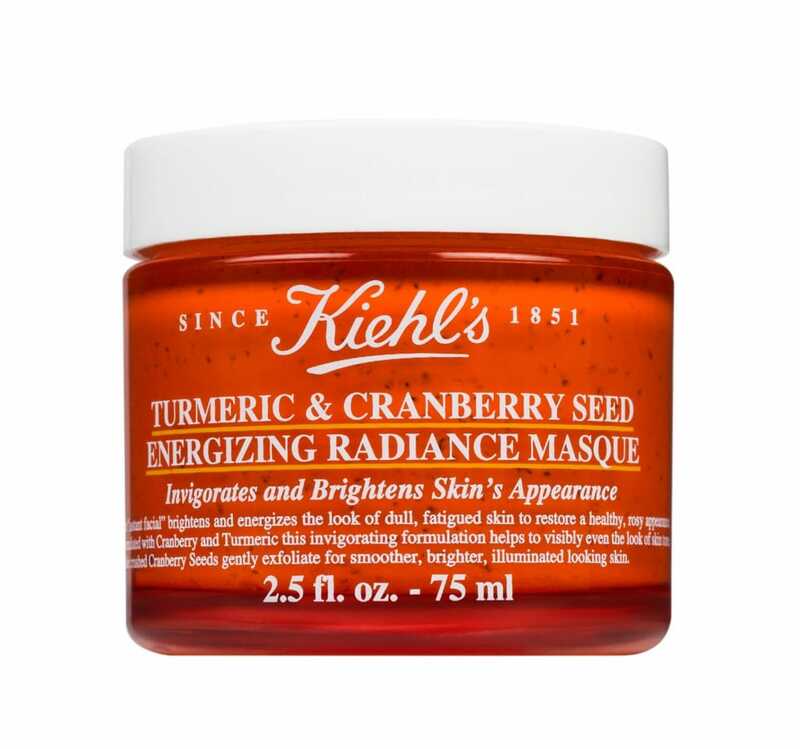 The mask introduces a new formula from Kiehl’s that is designed to invigorate and brighten skin to leave it looking and feeling healthy and radiant from the inside out. Packed full of natural ingredients, including cranberry and turmeric extracts, it works to detox the skin and remove impurities that lead to imperfections and dullness. The crushed cranberry seeds also gently exfoliate to rid you of that dead, dull layer of skin and to reveal a smoother, brighter, more glowing complexion. Simply apply a thin layer to your skin, rub it in gently to activate the exfoliating ingredients, and sit back and relax for ten minutes before washing it off with warm water. Your skin will instantly feel softer and smoother with its natural radiance restored.